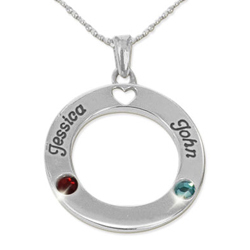 The solid sterling silver round washer pendant on this beautiful Mother's Necklace is personalised with two names dear to you and their matching birthstone crystals. A sparkly fine ball chain in your desired length completes a stunning, unique piece of keepsake jewellery. 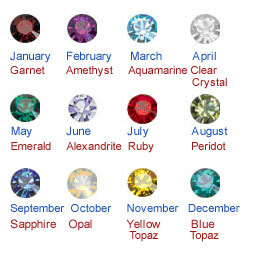 NB: Please note, this personalised Mother's Necklace will be despatched within 2-3 weeks.